Argyle Senior Linebacker Chase Petter was recently named to the 2018 Whataburger Super Team, a team of 40 of the best and brightest Texas high school football players. 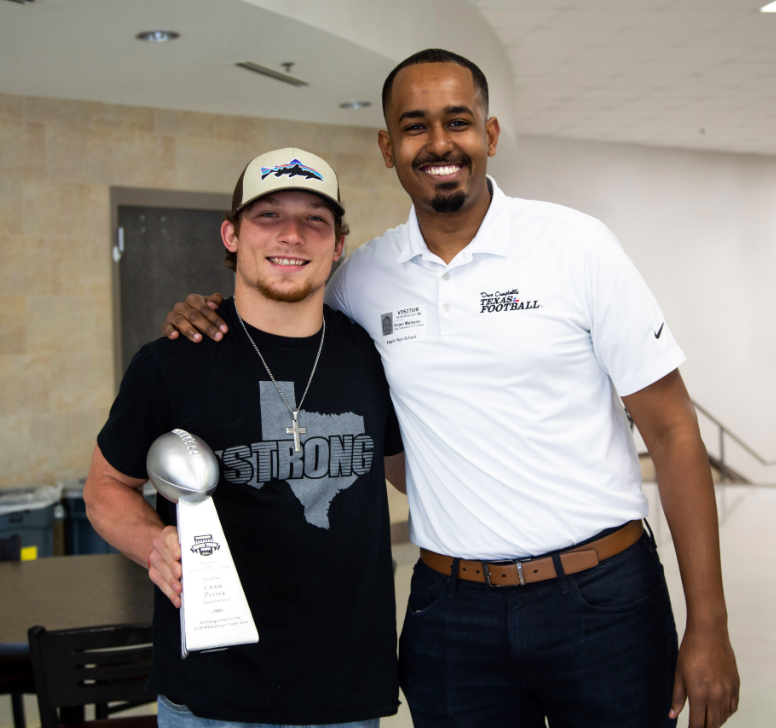 Dave Campell’s Texas Football recently presented Petter with the award at Argyle High School. Petter led Argyle to the playoffs with 100 solo tackles, 144 total tackles and 12 sacks in the 2018 football season. Click here for more information about the Whataburger Super Team. Next : Foodie Friday: Edison Coffee Co.